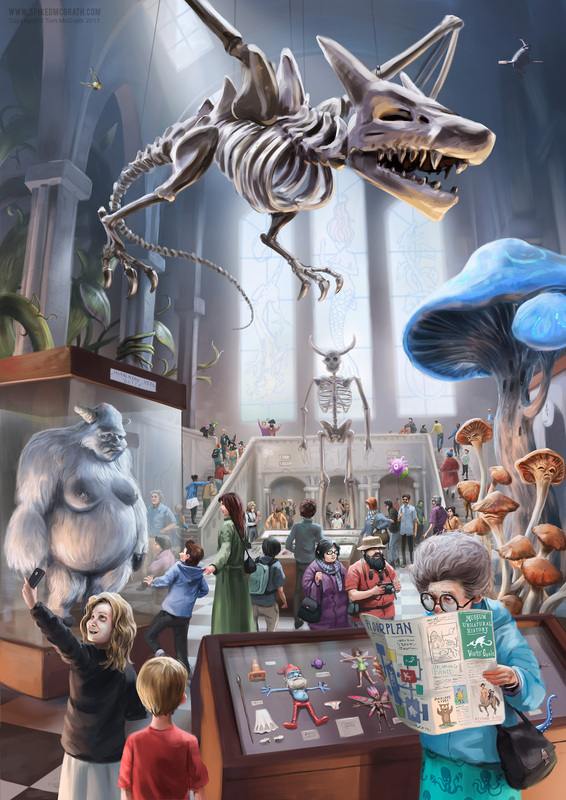 Here’s a picture I finished recently called “The Museum of Unnatural History”. It’s an idea that’s been knocking around in my head for a few years now but I’d been putting off knowing it was going to be a big, time-consuming job. Eventually I decided it wasn’t going to paint itself and got stuck in. Click to see a larger version. I didn’t paint those details for nothing! Perhaps a little self-indulgent. Even by my standards! I’ve hidden a number of things from my past (and future!) 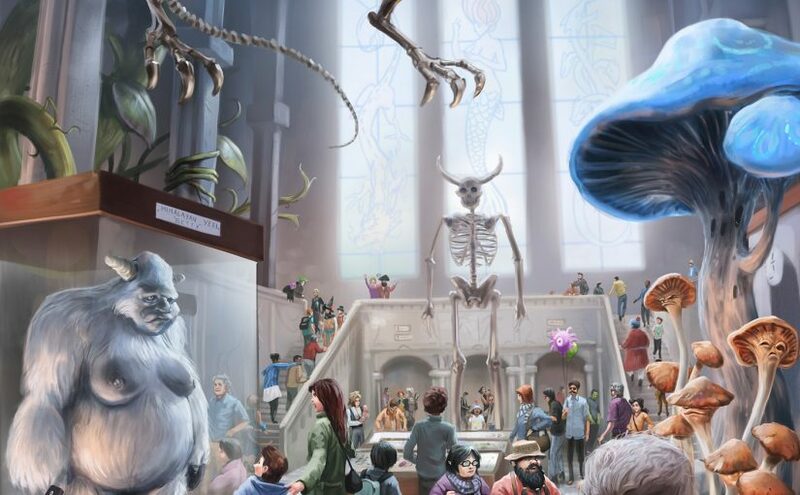 work in there, alongside some popular characters some people may recognise.